From being cut off an AFL list, to overlooked in national drafts, or never had any prior motivation to play at the top level – state and amateur leagues across the country are healthy avenues for players who hope to join elite company. Just ask James Podsiadly, a workhorse in his own right. 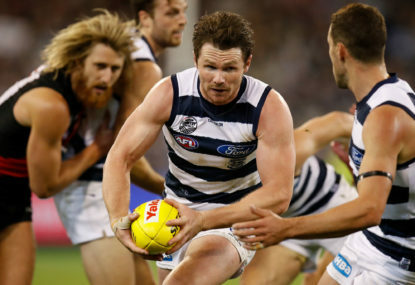 Known to many as J-Pod, the soon-to-be cult figure was picked up by Geelong as a 28-year-old, making an immediate mark on the competition. 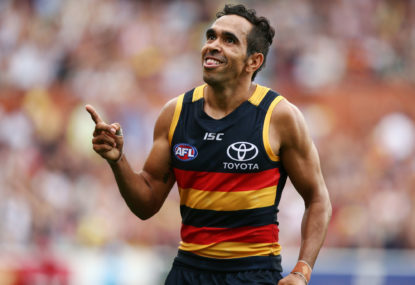 The mainstay full-forward played 104 games and kicked 195 goals for both the Cats and Crows, including a 2011 premiership medal. The Geelong gamble was a success story and nowadays, clubs should feel inclined to recruit more primed footballers. St Kilda’s injection of mature-age draft talent included South Fremantle product Matthew Parker, Essendon reserves speedster Nick Hind, SANFL journeyman Robbie Young and fellow South Australian Callum Wilkie. The unconventional approach by the Saints recruiting department may have surprised a few, however the unique strategy can be advantageous for clubs in a rebuild phase. The newly introduced pre-season supplemental selection period has supported this importance of state and amateur league football potential. 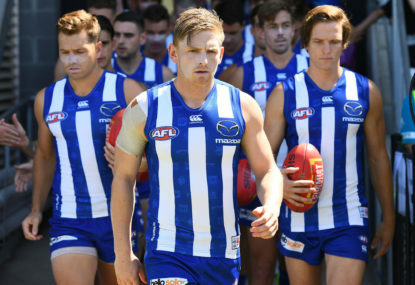 It gives clubs a chance to fill any list vacancies according to set criterion: players who previously nominated for the AFL draft or were part of an AFL list. Williamstown midfield bull, Michael Gibbons, who boasts an extensive list of VFL achievements including two JJ Liston trophies, is reportedly set to realise a boyhood dream with Carlton after the shock retirement of Tom Bugg. WA teenage talent Sydney Stack, has impressed down at Punt Road during pre-season, where a subsequent lifeline at Tigerland is on the cards. AFL reporter Mitch Cleary publicised Stack’s opportunity to stay with Tiger coach Damien Hardwick, and Stack “relished” the experience. New Essendon rookie Thomas Jok was also in that same boat as Gibbons – overlooked at several drafts. An exciting prospect with plenty of upside, Jok played for St Kevin’s Old Boys in the Victorian Amateur Football Association and Collingwood VFL. These competitions allow recruiters better access to forgotten talent and thus, why the players aforementioned have been unearthed from reserves level to the AFL. On their quest to revitalise careers in the elite competition, former listed AFL players Jonathan O’Rourke (Hawthorn/GWS) and Kieran Collins (Western Bulldogs) were recently picked up by Carlton’s reserve side, the Northern Blues. O’Rourke, unfortunately blighted by hamstring issues, played 21 senior games in six seasons whilst Collins featured only once in his debut season. 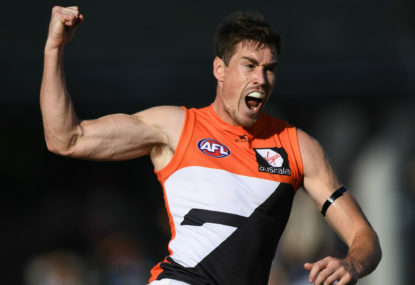 With list boss Steve Silvagni’s known fixation of recruiting GWS players, an unscathed O’Rourke may be another Giant ingredient in the Blues rebuild. AFL clubs shouldn’t just resort to the traditional draft scheme. These state and amateur leagues are maintaining their healthy reputation and will proceed to benefit the elite competition going forward. It was an entertaining round of footy with plenty of surprises, upsets and milestones. All right, I give up. I surrender. 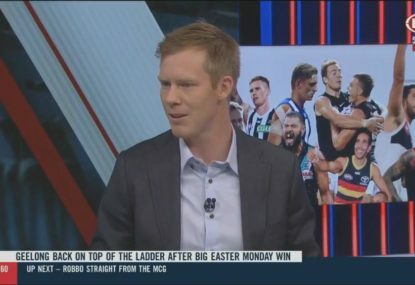 The final part of the Round 5 review covers the two Sunday games and the traditional Easter Monday game between Hawthorn and Geelong. 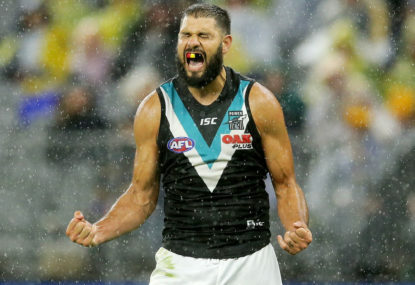 I said in my last article that the biggest upset of the round was Port Adelaide beating West Coast Eagles. Five rounds into the 2019 AFL season and 11 teams have won at least three games. 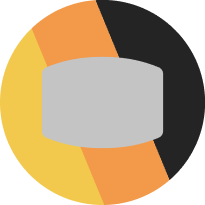 Every team has at least one, and all but two have also lost twice. What a start! And speaking of starts, let’s make one on today’s talking points.